Can yogurt go bad? It’s good to know whether yogurt does spoil or how long does yogurt last. Why? Because yogurt is one of the most popular and the healthiest dairy products at the same time. If you’re not eating yogurt on a regular basis, I suggest you should check it out – it has a lot of health benefits. One more suggestion – beware of eating flavored yogurt on a daily basis, it isn’t as healthy as a natural one. OK, let’s check out some of the most important facts about yogurt, like whether yogurt can spoil or how to know if yogurt is bad. How long does yogurt last? Every yogurt has a “Best By” or “Use By” date placed somewhere on the package. That’s a starting point. That date indicates that the yogurt should be of best quality at least for that time period, if it’s stored properly. How to properly store yogurt? It’s quite simple and I’m sure you already know it – keep it in the refrigerator and always keep it tightly covered (when it’s already opened). 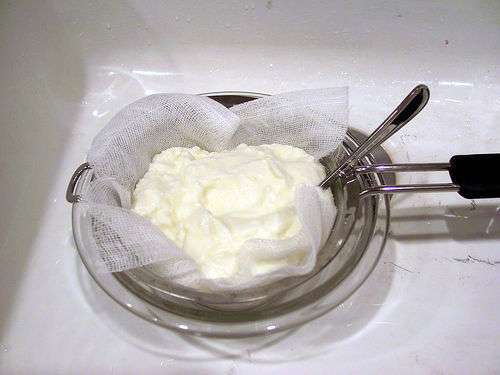 If you’ll keep yogurt without a cover, it’ll dry off pretty quickly. The cover protects the contents of the package from any odors as well. Of course “Best By” and “Use By” dates differ between manufacturers, but you should know as long as the package is unopened, the yogurt should be fine for at least a few days after that date. In fact, in most cases it’s fine for a week, and sometimes even a little longer, it really depends. If your yogurt is out of date, before eating it, you should check whether it is spoiled, or not. If you’d like to extend yogurt’s shelf life, put it in the freezer immediately after buying. It can last there for a few months and will be fine after thawing in the fridge. Remember – do not refreeze yogurt, it might develop some harmful bacteria and you might suffer from food poisoning after eating that yogurt. Does yogurt expire? How to tell if yogurt is bad? As you should know by now, yogurt does spoil. In the two previous paragraphs I’ve discussed how long can yogurt last. So, there is a day or two after the “due date” of the dairy product – can you consume that yogurt safely? As always when it comes to food products – it depends. It might be fine, but it can be spoiled as well. There are a few ways you can spot whether your yogurt is still fine or not. First, check out yogurt’s appearance. Look for any signs of mold and discolorations. You might notice that its consistency has changed, but it’s quite normal when it comes to yogurts. Just stir it with a spoon and its texture will get back to normal (if not, toss it out). If the yogurt looks fine, smell it. If it has developed an off, funny or weird odor, throw it away. If its appearance and smell is fine, taste it. If it’s off, you’ll definitely know that after tasting a small bit of yogurt. Take note that eating a small bit of spoiled yogurt won’t make you sick, in 99 percent cases it’s perfectly harmless. So, can yogurt go bad? I’m sure that you already know that yogurt does expire. But if you’ll store it properly, it’ll be fine for at least a few days after its “Sell By” or “Use By” date. If you’re not sure whether your yogurt is fine, check out whether it’s bad by following the rules mentioned earlier. Can Sour Cream Go Bad? 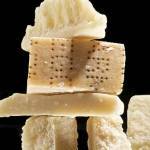 Can Parmesan Cheese Go Bad? Can Powdered Milk Go Bad?